New, comfortable, modern aprtments!!! Set right outside the entrance to the protected natural park of Kamenjak, this apartment one of four within a private residential building, in Premantura, reflects luxury and comfort in a beautifully designed interior. 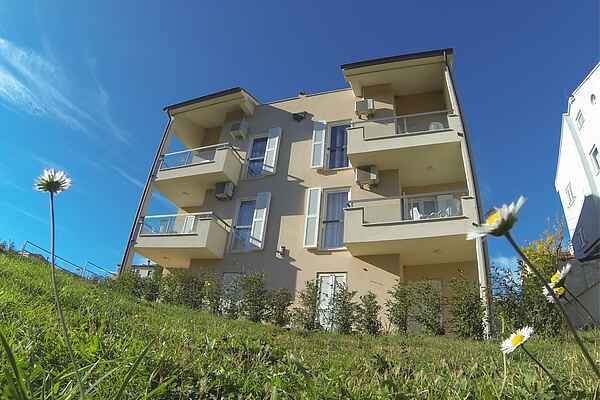 Each of these beautiful apartments offers a bedroom with a double bed, a spacious bathroom, a comfortable living room with kitchen and dining room combination, a balcony overlooking the beautiful unspoilt natural landscape of the far south of the Istrian peninsula. The beautiful natural reserve of Kamenjak is a unique part of the Istrian Peninsula that has the best wild beaches. With private coves and pebble beaches, Kamenjak is a must for those who wish to really enjoy the cristal clear blue waters of the Adriatic. Come and enjoy!! !